The SugarHouse Casino opened in 2010 in Fishtown along the Delaware, one of the riverfront areas long dormant or used for industrial purposes. Other projects along the Delaware River on or near brownfields include Waterfront Square and the Dockside (condominium complexes), Race Street Pier (a landscaped park), Spruce Street Harbor Park (a “pop up” seasonal park), and Pier 70 (a big box retail center). In Wilmington, the Riverfront Development Corporation of Delaware in the late 1990s purchased thirty-three acres of contaminated land along the Christina River once populated with tanneries and shipyards. By 2005 the site, renamed Justison Landing, was home to apartments, offices, restaurants, and a minor league baseball stadium. Delaware’s largest completed brownfield remediation to date, it also was Wilmington’s largest urban renewal project since the 1940s. 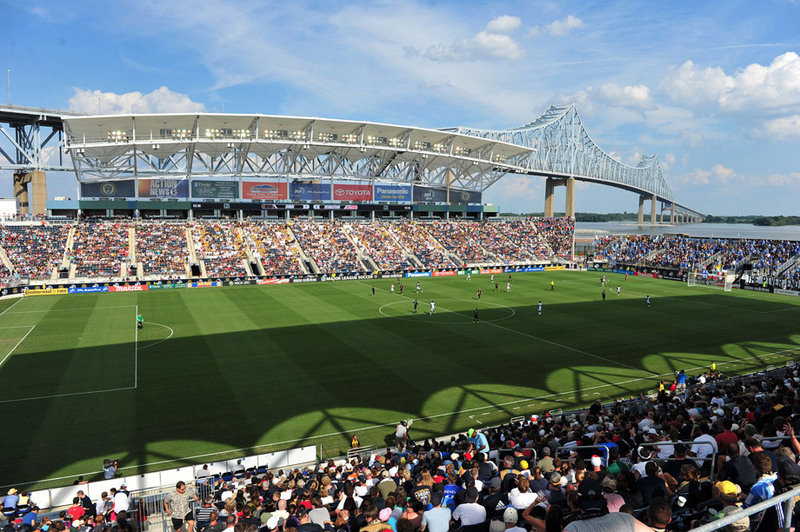 PPL Park is the home of the Philadelphia Union, the region’s major league soccer team. 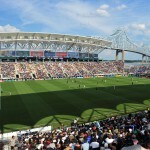 This stadium, a modern, 18,500-seat structure near the base of the Commodore Barry Bridge in Chester, opened on June 27, 2010, on reclaimed brownfields. 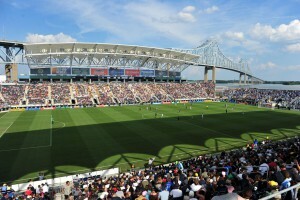 PPL Park was intended to be the first step in a multimillion-dollar riverfront revitalization project in Chester, although in 2015, Chester Mayor John A. Linder complained that in addition to not meeting goals of further redevelopment (nearly twenty-five acres of barren brownfields), PPL Park and its owners failed to improve the impoverished city, one with a long history of environmental injustices. 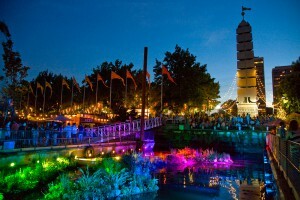 Brownfield redevelopment has altered riverfronts in many of the region’s cities. 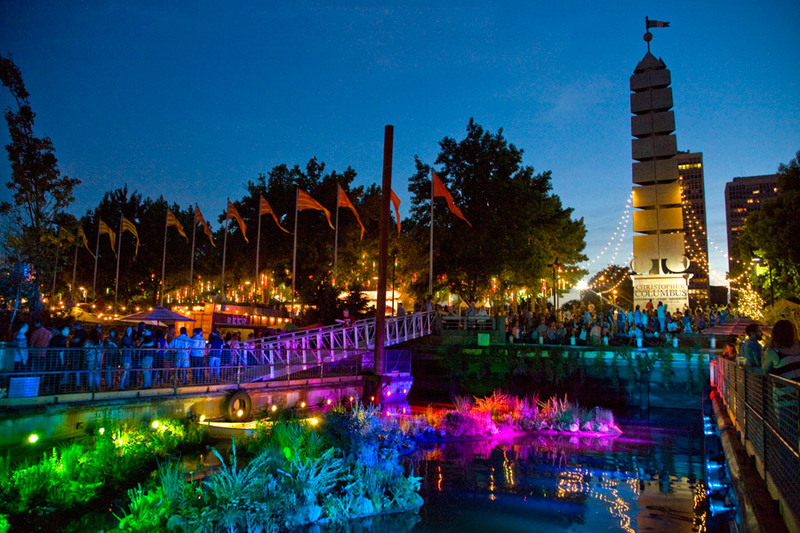 In the early twenty-first century, projects along the Delaware River in Philadelphia such as Waterfront Square and the Dockside (condominium complexes), Sugar House Casino, Race Street Pier (a landscaped park), Spruce Street Harbor Park (a “pop up” seasonal park), and Pier 70 (a big box retail center) reinvigorated acres long dormant or used for industrial purposes. 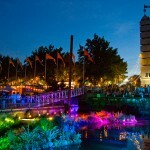 Spruce Street Harbor Park, shown here, has become an extremely popular destination during the summer in Philadelphia. First designated by the U.S. Environmental Protection Agency (EPA) in 1995, the polluted tracts of land known as “brownfields” resulted from Greater Philadelphia’s industrial heritage. For more than a century, manufacturers generated vast amounts of waste and runoff. After industry declined between the 1950s and the 1980s, acres of abandoned structures and soiled land remained. Hundreds of examples across the region presented not only challenges for environmental cleanup but also opportunities for replacing decaying factories and tainted lots with projects ranging from condominiums and parks to shopping centers and power stations. As defined by the EPA, brownfields are a category of sites with real or perceived contamination less severe than those with Superfund designation. Following an assessment process, sites may qualify for federal, state, and/or local funding for cleanup and redevelopment. Because each site is unique, federal and state brownfield programs also assist in selecting the proper remediation method. By 2015, the EPA estimated that nearly 500,000 brownfields existed nationwide, with the majority located in older urban areas. Remediation addresses environmental hazards. While many brownfields contain crumbling structures, empty fuel tanks, or construction debris, others may harbor dioxins, arsenic, polychlorinated biphenyls (PCBs), asbestos, petroleum, or heavy metal residue, substances to which exposure has been linked to cancer and other ailments. If soil or groundwater contamination is detected, an extensive extraction process, similar to those used for Superfund sites, may be required. Following removal, contaminated materials are transferred to hazardous waste landfills with elaborate capping systems. Many brownfields in Greater Philadelphia lay in close proximity to rail, highway, and mass transit corridors, making them, while defiled, potentially valuable for redevelopment. The area’s highest concentrations appeared in New Castle County, Delaware (an estimated 105 sites); Trenton, New Jersey, (est. seventy); Camden, New Jersey (est. 150); Chester, Pennsylvania (much of its riverfront); and Philadelphia County. Philadelphia, which contained 5,000 acres of brownfields and roughly thirteen sites per square mile, was rated (with additional factors) in 2014 the second-most polluted county in the United States, after St. Louis County, Mo. Brownfields also appeared in smaller cities, including Bridgeton, New Jersey; Newark, Delaware; and Bensalem, Pennsylvania. Regardless of location, brownfields involved complicated legal and financial hurdles that in some cases delayed remediation for several years. While the EPA assessed the properties, their purchase, cleanup, and reuse relied on lenders, developers, architects, elected officials, and citizens who at times failed to reach consensus over a site’s expense and future use. Moreover, critics of brownfield programs have stressed that an area’s socioeconomic fortunes can dictate the rate or extent of redevelopment. 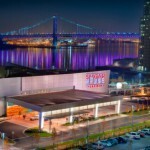 PPL Park, a major league soccer stadium and concert venue that opened in 2010 on reclaimed brownfields in Chester, was to anchor a new complex of office, retail, and convention space. In 2015, Chester Mayor John A. Linder (b. 1947) complained that in addition to not meeting goals of further redevelopment (nearly twenty-five acres of barren brownfields), PPL Park and its owners failed to improve the impoverished city, one with a long history of environmental injustices. Even with such obstacles, brownfield remediation since the late 1990s achieved a degree of success, with many projects reflecting the region’s shift from a manufacturing-based to a service-oriented economy. Nowhere was this more visible than in Philadelphia, which by 2015 had received more federal brownfield support than any other area municipality. Notable projects ranged from luxury apartments in Center City (Locust on the Park, once the National Book Publishing Co.) and senior housing in Frankford (Meadow House, formerly underground oil storage) to Temple University’s movieplex (Avenue North AMC Theaters, previously a gas station) and Northern Liberties’ greensward (Liberty Lands Park, site of a former tannery). Perhaps the city’s most anticipated brownfield cleanup was the Reading Viaduct, a rusting, elevated railway trestle that in 2015 received $11 million in federal money for conversion into a park similar to New York City’s High Line. On a broader scale, brownfield redevelopment altered riverfronts in many of the region’s cities. 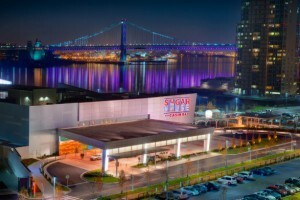 In the early decades of the twenty-first century, projects along the Delaware River in Philadelphia such as Waterfront Square and the Dockside (condominium complexes), SugarHouse Casino, Race Street Pier (a landscaped park), Spruce Street Harbor Park (a “pop up” seasonal park), and Pier 70 (a big box retail center) reinvigorated acres long dormant or used for industrial purposes. In Wilmington, the Riverfront Development Corporation of Delaware (RDCD) in the late 1990s purchased thirty-three acres of contaminated land along the Christina River once populated with tanneries and shipyards. By 2005 the site, renamed Justison Landing, was home to apartments, offices, restaurants, and a minor league baseball stadium. Delaware’s largest completed brownfield remediation to date, it also was Wilmington’s largest urban renewal project since the 1940s. Bensalem’s Riverfront South, a mixed-use development, occupied more than forty acres formerly home to aluminum refining and cryolite production. Trenton’s Waterfront Park, also home to minor league baseball, was constructed on reclaimed brownfields. As important sectors of Greater Philadelphia’s postindustrial economy, sustainable (or “green”) industries and education interests figured prominently in brownfields revitalization. Photovoltaic plants for power generation were built in the 2010s along Christina River brownfields at Swedes Landing and Newport, Delaware. To combat blight and “food deserts” in Philadelphia’s low-income neighborhoods, residents and church groups, from Walnut Hill and Francisville to Kensington’s Greensgrow Farms, reclaimed brownfield lots for community gardens and commercial nurseries. The area’s universities, such as Temple and Delaware, underwent large expansions in the early 2000s, repurposing shuttered factories into dormitories and science campuses, respectively. Atop Camden’s former Harrison Avenue Landfill the Kroc Salvation Army Corps Community Center, a twenty-four-acre complex with a fitness center, athletic fields, waterpark, and a chapel, opened in October 2014, providing city residents with much-needed recreational opportunities. In addition to improving the environment and creating new amenities for residents and visitors, Greater Philadelphia’s brownfields programs increased property values and tax revenue. In 1998 Newark’s Del Chapel Chemical and Textile Factory, which lay vacant for sixteen years, was sold to a private developer for $5.8 million. After a lengthy remediation process and erection of an apartment complex catering to University of Delaware students, the land’s assessed value in 2008 stood at $42 million. That same year, taxes collected from reused brownfields delivered $2.7 million into New Castle County’s coffers and $950,000 to the city of Wilmington. Brownfield cataloging and remediation since the mid-1990s breathed new life into dozens of Greater Philadelphia’s abandoned buildings and their contaminated grounds. In 2014, the EPA calculated that one acre of redeveloped brownfield land in the region preserved 4.25 acres of “greenfields” (undeveloped land), helping to curtail metropolitan sprawl. Ranging in size from gas station parcels to swaths of riverfront, and in origin from backyard dumps to factories, the refashioning of brownfields created thousands of jobs (some 1,400 in Philadelphia alone), millions in much-needed revenue, and in urban and suburban neighborhoods alike, civic pride in addressing the toxic legacies of the past. Stephen Nepa received his M.A. from the University of Nevada, Las Vegas, and his Ph.D. from Temple University and has appeared in the Emmy Award-winning documentary series Philadelphia: the Great Experiment. He wrote this essay while an associate historian at the Mid-Atlantic Regional Center for the Humanities at Rutgers University-Camden in 2015. Black, Brian and Michael J. Chiarappa, eds. Nature’s Entrepot: Philadelphia’s Urban Sphere and its Environmental Thresholds. Pittsburgh: University of Pittsburgh Press, 2012. Brown, Peter Hendee. America’s Waterfront Revival: Port Authorities and Urban Redevelopment. Philadelphia: University of Pennsylvania Press, 2009. De Sousa, Christopher A. Brownfields Redevelopment and the Quest for Sustainability. Boston: Elsevier, 2008. Goodman, Howard. “For Two City Projects, a $26 Million Surge.” Philadelphia Inquirer, Nov.15, 1998, B1. Sarni, William. Greening Brownfields: Remediation through Sustainable Development. New York: McGraw Hill, 2010. Planning, Housing, and Redevelopment, 1929-present, Collections of the Philadelphia City Archives, 3100 Market Street, Philadelphia. Justison Landing, Justison and West Streets, Wilmington, Del. Liberty Lands Park, N. Third and Poplar Streets, Philadelphia. Race Street Pier, Race Street and N. Columbus Boulevard, Philadelphia. PPL Park, 1 Stadium Drive, Chester, Pa.